My family has been touched personally by this devastating disease. 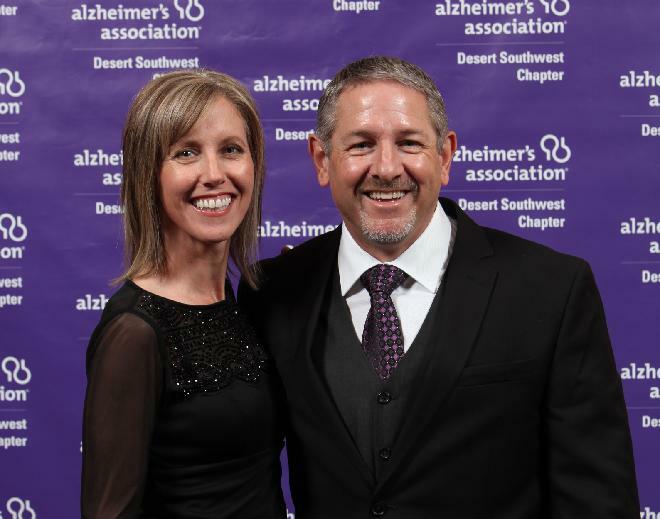 My husband Kevin was diagnosed with Early-Onset Alzheimer's in June of 2017. It has been a difficult journey, and many days overwhelming. We are so thankful for the support and resources made available to us by the Association and we live by hope that a cure will be realized in our lifetime. I am participating in The Longest Day, an event to honor the strength, passion and endurance of my husband who continues to maintain his positive cheerful self even in the face of this disease. From sunrise to sunset, our team will participate in a Movie Marathon to raise awareness and funds for the care, support and research efforts of the Alzheimer's Association.